Welcome to our athlete focus interview! 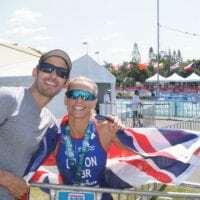 Here we take the time to catch up with one of our amazing Team Dillon athletes, everyone has a story to tell, an opportunity to inspire….. Meet Rebecca Martz. 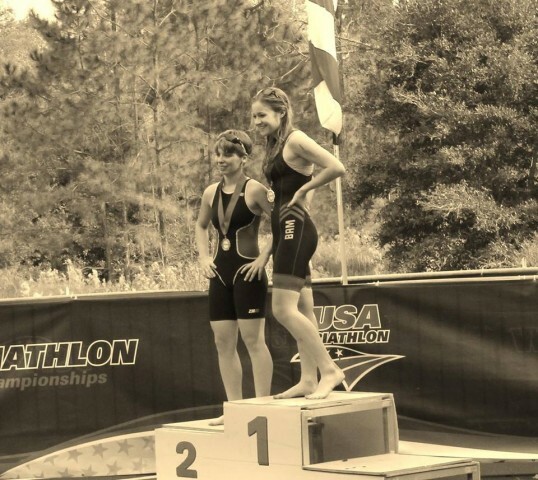 Rebecca joined our team 9th October 2014, she lives in the USA and is coached by Emma Pallant. 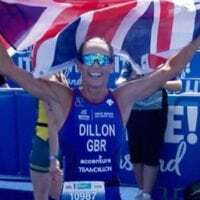 In her first season of the sport Rebecca recently qualified for the 2016 World Duathlon AND World Triathlon AG Championships, in preparation for this has already booked into our Team Dillon warm weather training camp in Spain during February, this young star has a bright future ahead! I train at YMCA Hagerstown MD for swimming it usually is an 80 mile round trip. I Run with a Group in my home town or in Hagerstown MD, again 80 miles round trip. I Occasionally swim with a group which takes me 160 miles round trip. I usually bike in my hometown right now. Proudest sporting moment to date? Qualifying for two world championships. 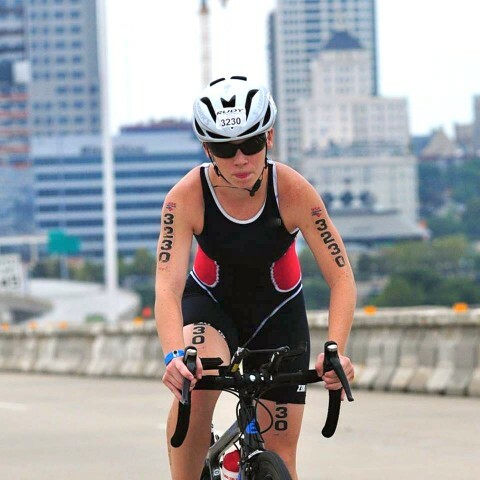 When did you start triathlon and why? May 2014 is when I started. After my soccer injury i could not do contact sports so I thought about marathons and didn’t think that was for me so I kept seeing this word triathlon ( did not know what it was ) and I said that is what I am going to do. My mom said at first you can’t even swim. I told her that is ok I will learn or teach myself if need be. That is what I did and 1 month later I raced my first race and won my age group. What made you choose Team Dillon? Well.. I had another coach for a couple months and we just did not click. so I was researching on the computer different coaches and during a random internet search I found team Dillon. That day I emailed Michelle and it went from there. I just knew this what I was supposed I do, and so far it is the best decision I have ever made. The best thing is just how much you guys truly care, and I love how encouraging you were to me in Chicago and Florida. I love having coach that has the same dream goal as me that is great. I get to learn a lot from her. The whole season, it is going to be a great season and of course.. World Championships!! If you weren’t an athlete what would you do? Do you spend more on food or tri gear? Food !! for sure .. that is weekly . 5k swims and 2hr runs. I love a challenge. What gets you through tough days of training? I remember the purpose of why I do what I do. I close my eyes and envision myself at the olympics.I read my bible , other stories of olympians, and I motivational youtube videos. What is your most favourite thing to do on a rest day? Rest days are awful !! but the best thing for me is yoga and soaking in a bath( we are known for roman baths where I live we get people from all over the world ) at 110 degrees for 15 to 20 minutes. It relaxes me and is really good for my body and performance. How do you best recover from a hard session? What is your favourite motivational slogan? Do not follow your dreams chase them! What would you recommend as a good source of triathlon media? There isn’t a great deal out here in America, I usually watch a lot of youtube clips. Without Limits and The Gabby douglas story. The Gabby douglas story is the story of a gymnast. It is a really good movie. What’s your favourite training tune? Depends on my mood, but linkin park and stuff like that typically. If you were to take a 5 hour road trip to a race, who would you want in the car? Running shoes, swim suit, and my puppy. something to filter fresh water would be nice to, but man if I had my own island I do not think I would be trying to escape. I would say my bike but they do not work well in sand. 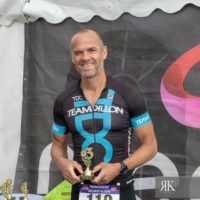 Pro triathlete and loving it!